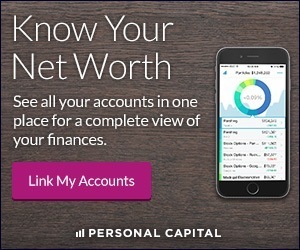 Are you looking to save more money this year in order to become content with less and meet your financial goals? The answer is simple. Become frugal. Frugality is not just a habit or a trend, it’s a lifestyle. Frugal living involves being resourceful and choosing to live a fulfilling life without overspending to do so. Frugal people are conscious of their budgets and often find creative and more cost-effective ways to lower expenses and make ends meet. While an increased amount of savings is definitely a benefit of living a frugal lifestyle, having the financial freedom to be able to spend money on what matters most to you is an added bonus. But before you can free up your money to invest, pay off debt, and spend on what’s important to you, you have to generate savings through your frugal lifestyle. Here’s how I manage to save at least $6,220 a year. Have you ever gone to the mall and found what you were looking for at the first store but decided to check out a few other stores in hopes of finding a better price? I’m sure we’ve all done this at one time or another and this is exactly what I did when it came to my car insurance premiums. It was definitely a frugal move. Full coverage auto insurance can be expensive depending on your age and driver history. When I purchased a car last year and my current insurance company at the time quoted me a rate that I thought was outlandish even though I had a squeaky clean driver record, I shopped around. A friend referred me to a company that quoted me much lower rates and I ended up saving $400/yr by switching my auto insurance. I know that everyone advises others to get rid of cable if they are looking to save money but it’s very true. Some cable subscriptions are very overpriced and with the way the internet is progressing, it’s becoming easier and easier to catch your favorite shows online for a fraction of the cost. My household uses Netflix and Amazon Prime and we stream shows and movies from our devices to the television with Chromecast. Chromecast is a device that’s available for a one time cost of $35. We try not to watch too much television anyway and this new set up saves us $540/yr. With the weather warming up, I’d much rather spend my free time outside and doing fun things with my family and friends. I realized I’m not missing much without having cable and I still get to watch great shows anyway so it’s a win-win for me. I’ve never been a fan of contract cell phone bills, even when everyone was doing it because there was no other option. Luckily, now there are a ton of prepaid phone services to choose from that offer quality phones and a good service overall. I was using a prepaid phone service for the longest paying $50/month for unlimited talk, text, and data. The plan was definitely affordable but the service wasn’t the best and my calls often dropped. I even went a few months without a phone because I just couldn’t stand paying $600/yr for a phone that wouldn’t even work half the time. That’s when I found out about Republic Wireless. It’s a prepaid, low cost mobile service that uses a combination of Wi-Fi and Sprint’s cellular network and provides quality smartphones to utilize the service. The best part is that plans start at $5/month and you can change your plan whenever you want. I started off with the $10 unlimited talk/text and WiFi data plan last fall and I never looked back. By switching to Republic Wireless I’m saving at least $480/yr. Moving was the best thing I could have done to save money last year. Housing is a major fixed expense and you should never take up more than 30% of your annual salary. Since I rent, I’m not opposed to moving to a more affordable area in order to live frugally and save money. I liked my apartment initially, but when my rent went up substantially and I saw that I could get way more space for less by moving a few blocks away, I packed up and went for it. I ended up saving $400/month or $4,800/yr by moving down the street to a more affordable apartment. My current apartment doesn’t have laminate flooring, brand new appliances, and granite counter tops like the last one. But it still looks nice, it’s way more spacious and it’s home. Plus I can use my savings to help fund my emergency fund and pay off more debt quicker. 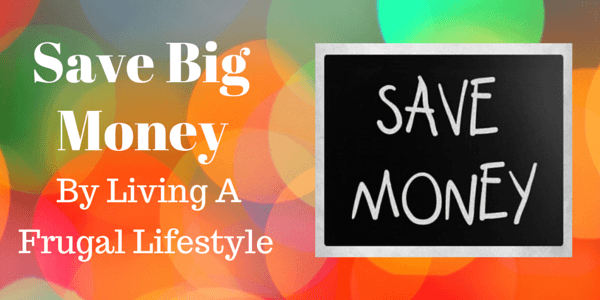 How much could you save by living a frugal lifestyle? Chonce is a freelance writer who’s obsessed with frugality and passionate about helping others increase their savings rate, eliminate debt, and work toward financial stability. She chronicles her journey to becoming debt-free on her blog, mydebtepiphany.com.